When the weather starts to turn, the idea of leaving the house for some decent food is less and less appealing. You don't need a lot to elevate your cooking. Here's what it takes to flip the seasonal switch in your kitchen. Don't stay home without them. Brooklyn Brine makes brilliantly seasoned pickled vegetables like Fennel Beets, Moroccan Green Beans and Whiskey Sour pickles kept crisp with naturally occurring tannins from oak leaves rather than chemical additives. Bonus: As you empty each jar—which will be all too soon—you can convert the mellow apple cider vinegar brine into a savory marinade. To layer exotic flavor into the thickest sandwiches and add just the right amount of tang to charcuterie and cheese boards. Maybe your grandmother didn't hand down the recipe but there is no shame in rolling out a flaky Pillsbury Refrigerator Piecrust, even when you're filling it with green market apples. Bonus: Store in the freezer for up to 2 months. Because baking sweet and savory pies is now that much easier. And isn't that the whole point of a Sunday afternoon? 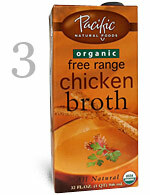 Pacific Natural Foods produces fresh tasting top quality broths, free of wheat/gluten, eggs, dairy, soy and MSG. And bonus: Their Certified to the Source program tracks the origin of every ingredient. 'Tis the season to simmer, braise and make soup. Or just deglaze a roasting pan to make a natural sauce. You do deglaze, right? Martelli artisan quality pasta is made with heritage hard durum wheat and extruded through traditional bronze dies to produce a rougher almost feathery surface. What does that mean? 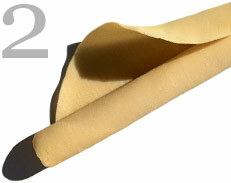 Instead of slick and slippery industrially produced noodles, these noodles grip any kind of sauce. Bonus: The chewy texture and more intense flavor are worth every hardy carb. The rich nuttiness is so right for the season that you can practically taste it getting dark outside. Bourbon Barrel's Bourbon Smoked Sugar is raw sugar smoked with repurposed bourbon barrel staves for sweet caramel flavors and the richness of smoked oak. 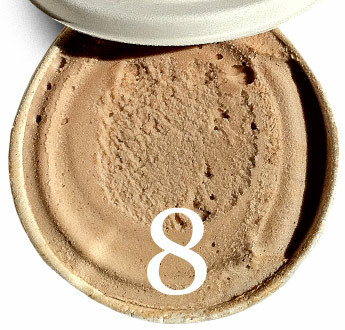 Bonus: Works wonders on the rim of a cocktail glass. Because this is the season when fruit needs a flavor bump. Sprinkle on crisps, cobblers or pies before baking, or scatter across a scoop of pumpkin gelato. 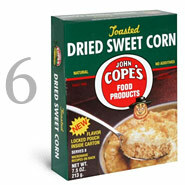 John Cope's Dried Sweet Corn has been a Pennsylvania Dutch staple since 1900. Because it's field harvested when corn sugars are at their height and immediately dried, it has a nutty, slightly sweet flavor. Bonus: It's famous! Used by chefs like Thomas Keller. It can be reconstituted in any recipe when you want the taste of open-fire roasted corn, no matter the season. Like no maple syrup you've tasted, 100% pure BLiS is produced with the freshest, coldest sap from old-growth, maple orchards for a full, robust, and slightly smoky-rich flavor with a thick consistency. Bonus: Also comes infused with Tahitian Vanilla. Because you need it, especially for weekend French toast made with banana or ginger bread. Capogiro Gelato Artisans live up to their motto "Taste No Evil," using vine-ripened fruit without pesticides or manmade fertilizers and milk from a closed herd of grass-fed Scottish Ayreshire Cows. Bonus: The pint container and packaging label is biodegradable. Gelato taste better when there's no humidity. Pick from fall flavors like Lancaster County Neck Pumpkin Gelato, Heirloom Apple Cider with Clove Sorbetto, Pomegranate Sorbetto, and Lancaster Pear with Bourbon. These Sicilian bay leaves, gathered in mid to late summer when the new spring leaves have matured, are an essential aromatic flavoring for rice, stews, soups and braises. 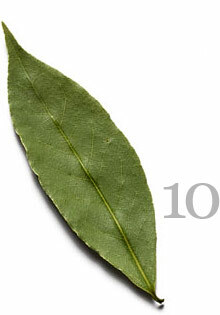 Bonus: Dried bay leaves are more pungent than the fresh. 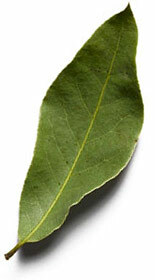 Upgrading even a simple foundation ingredient like bay leaves can change the quality of an entire dish. Koeze Cream-Nut peanut butter, handcrafted by the same family for over 80 years, is made from Virginia peanuts, dark roasted and coarsely ground with nothing but a pinch of salt. Bonus: It's all-natural. It's velvety and intense; reassuringly familiar and yet oddly exotic. The percentage of men who cook regularly in their household.